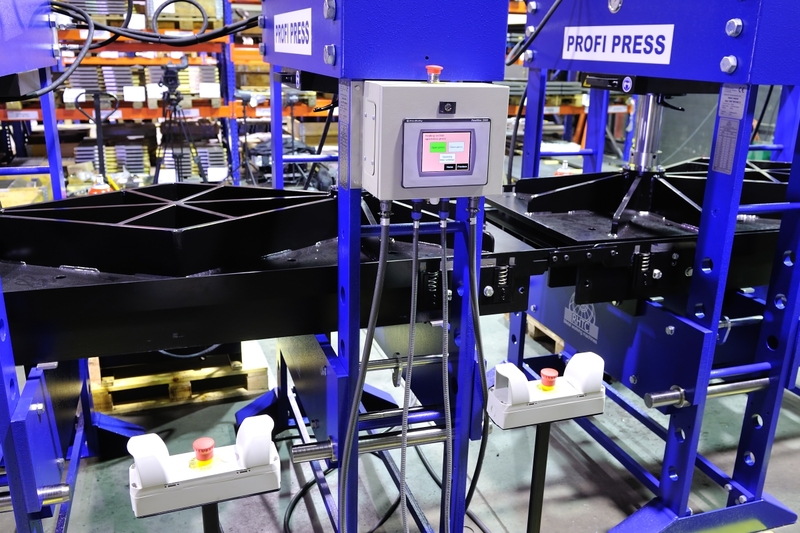 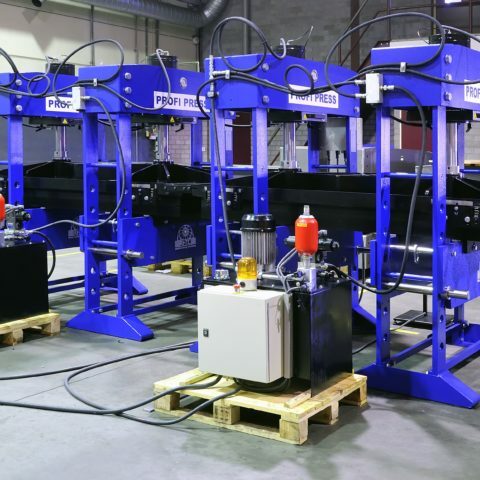 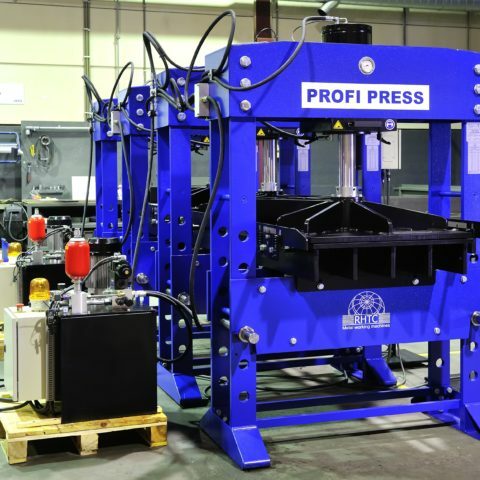 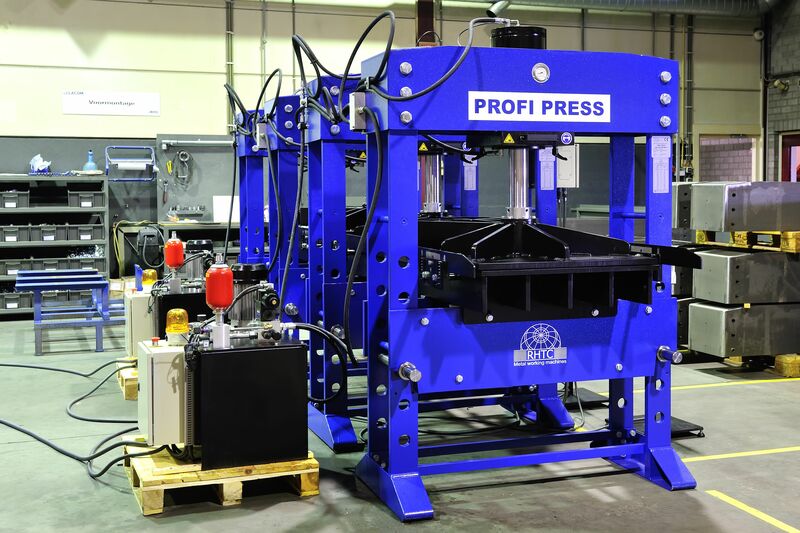 This custom-made press line is designed with 4 hydraulic workshop presses from Profi Press and especially indicated to carry out the forming of plastic material. 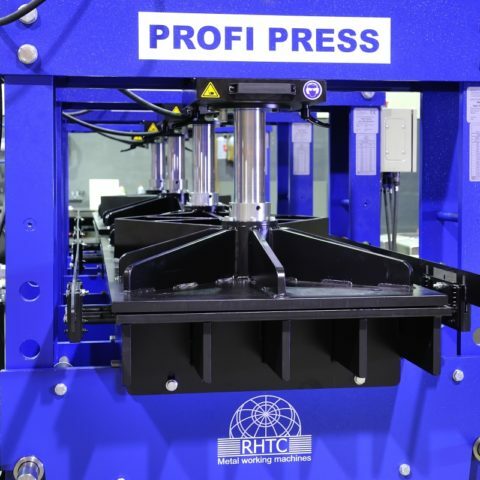 This press line is equipped with supply rails, a heating section, a cooling section and a PLC-control to regulate the pressure, cycle-time and position of the piston. 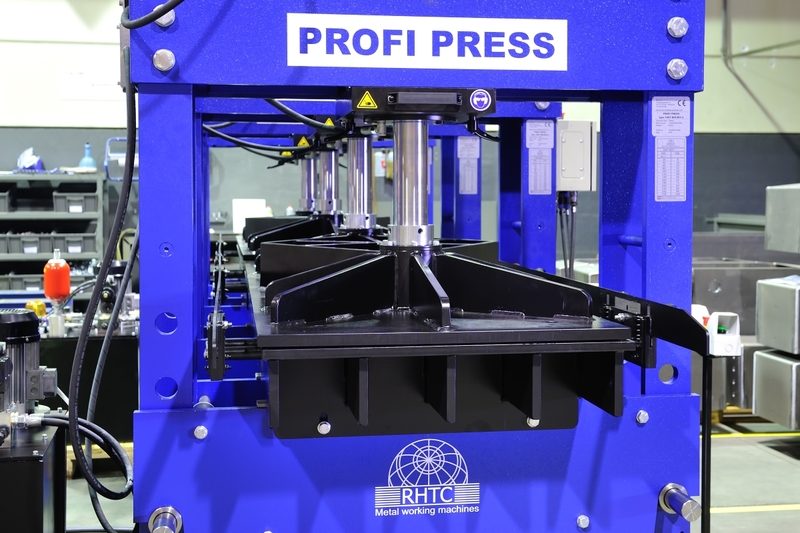 The molds are placed in the heating section (the first two presses) where they will be heated and formed with a constant pressure during 40 minutes. 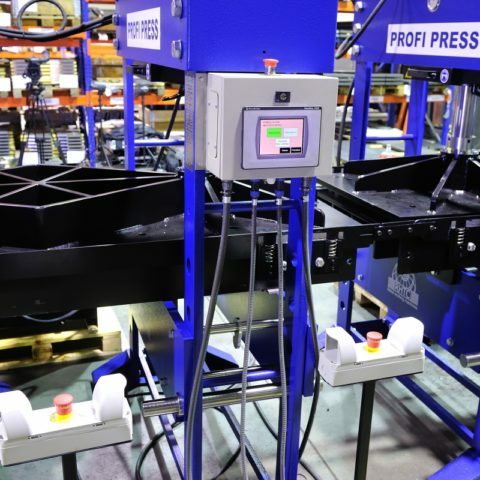 After these 40 minutes, the molds slide into the cooling section where the same process takes place with a low temperature. 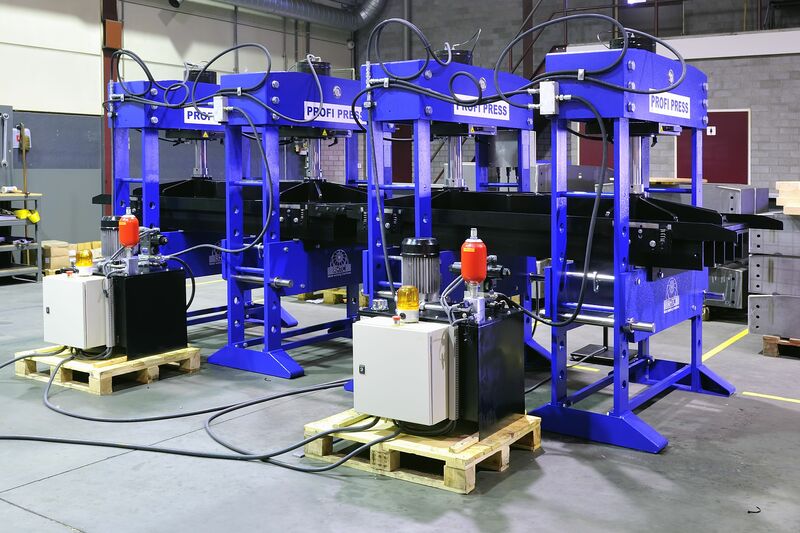 Exclusively made in the Netherlands.